On LinkedIn, I am a member of the professional group "Stock Photography, buy and sell images" and frequently find it useful for keeping up with what is happening in the stock photo industry. A couple of weeks ago a group member called 'Stormy Seas' (unusual as most LinkedIn users will provide their real name as it is a business network) posted a new discussion. Photographer's .... you need to stop selling your works on these microstock agencies and take the marketing of your artwork onto your own shoulders. 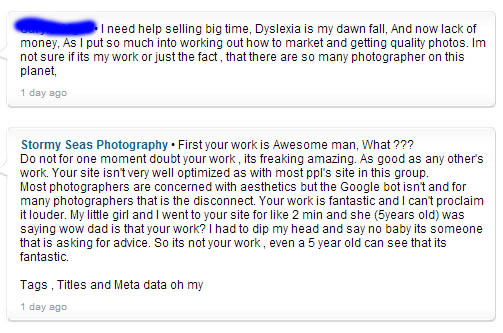 Before I started marketing my artwork online, I sold nothing. I'm not exaggerating. Zilch zero nada I applied online marketing strategies to my photography and that's what made the biggest difference. 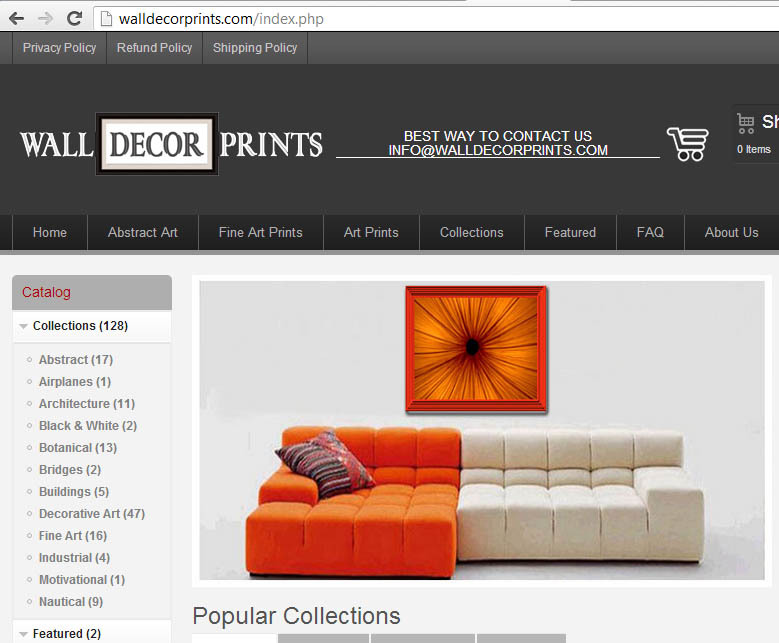 Take a look at one of my websites: www.walldecorprints.com. I have over 250 websites but take a look at this one. This site gets about 20 to 25 sales daily. Let me show you how to do this with your site. I don't split commissions or let someone else sell my work. I take on the responsibility to do this and that's why I sell. If you want to sell you have to learn to market online. Well, it is pretty well known that I share Stormy Seas sentiments on microstock, and I would agree that fine art photo sales have potential as a source of income for photographers, but the statement that his fine art website averaged "20 to 25 sales daily" really blew me away. 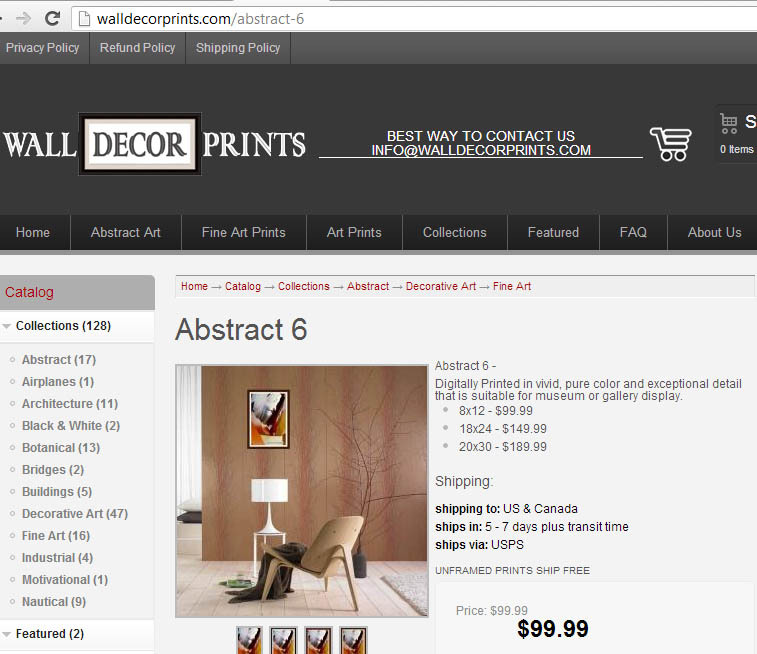 Conservatively, that works out at 5,000 art prints sales a year. That is quite an achievement. 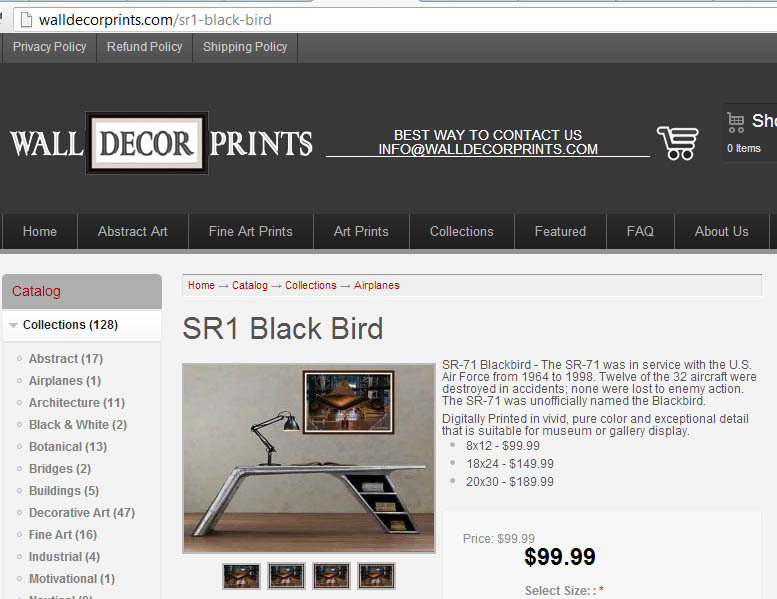 Taking a later figure that Stormy Seas gives of 79 dollars per print, and we are talking about 400,000 dollars a year. Unsurprisingly this got a lot of people in the LinkedIn Group to sit up and take notice. Initially, Stormy Seas had some problems with the group moderators as they felt his 'discussion' was actually a well-disguised attempt at promoting services he was offering for sale, but he managed to persuade them to allow the 'discussion'. I visited Stormy Seas' website walldecorprints.com and it looks pretty good, with the fine art prints PhotoShopped into interior shots so it appears as though they are hanging in very classy houses. I assumed the interior shots were probably microstock. Fair enough; I would say this is a good why to present your images in the best possible way and give buyers a good idea of how the images would look in their own homes. "Stormy Seas, I am intrigued by what you have been saying about your website. I did some investigating and find on www.alexa.com that your website http://walldecorprints.com has a ranking of 3,150,688. This means there are around 3 million websites out there which get more traffic. The site is ranked so low that Alexa can give no info about possible visitor numbers. I then tried www.compete.com and your site is given a ranking of 3,506,502 - pretty similar to the Alexa ranking. Compete estimates that your website gets about 84 visitors a month. Of course, this is so low it is hard to say how accurate this is, but the visitor numbers can certainly not be much more substantial than this. I am having trouble working out how "Walldecorprints.com gets about 20 sales a day" when the website seems to get less than 100 unique visitors a month. You must be doing something extraordinary." This is Wall Decor Prints traffic just for this month. Just pulled this info from Analytics. Even with this increased number of about 600 visitors a month, to make a sale to pretty much every visitor to the site seems.... quite extraordinary, and I told him so. While I had my reservations, a lot of other photographers on the discussion were impressed by what Stormy Seas had said he'd achieved and were clearly keen to see what he could do to help them improve the performance of their own websites and photo sales. I was pretty much going to leave it there, until another group member, who apparently shared my reservations, emailed me privately to say that they believed the images on Stormy Seas' website were not his. I found this hard to believe, and took another look at the images. My gut feeling was that they were his images - they were consistent in quality and style, and didn't seem like the sort of images someone would steal and pass off as their own. I couldn't see what could cause such an angry and threatening response, so I thought I ought to get another opinion. I asked the group moderator to read through the discussion and let me know if he thought I had been in any way threatening towards Stormy Seas or done anything wrong which might warrant this response. The moderator replied "I think you’re not threatening in your postings". At this point it seemed pretty clear that Stormy Seas had something to hide, so I decided to investigate the background images. 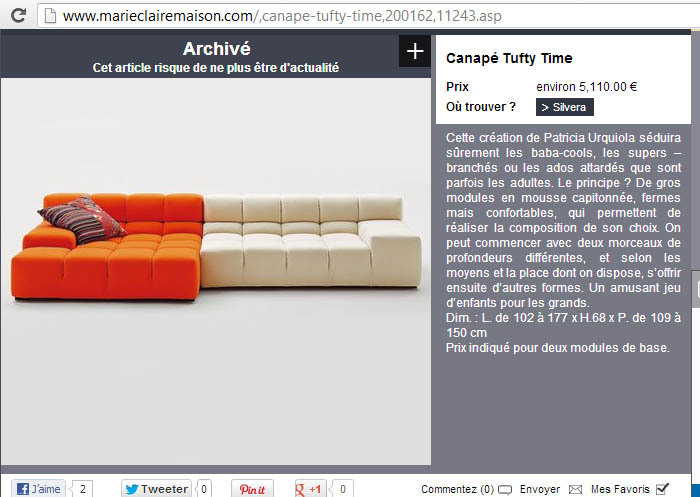 I used Google Search By Image to try to trace the sources of the images, and could find no matches on microstock sites. 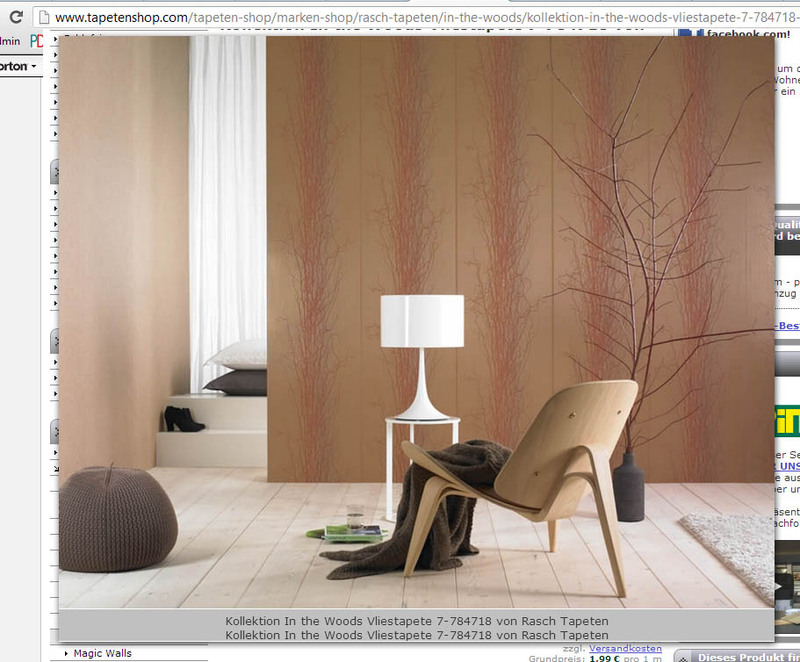 The images did seem to appear regularly on home design blogs and websites, and I soon recognised a pattern. 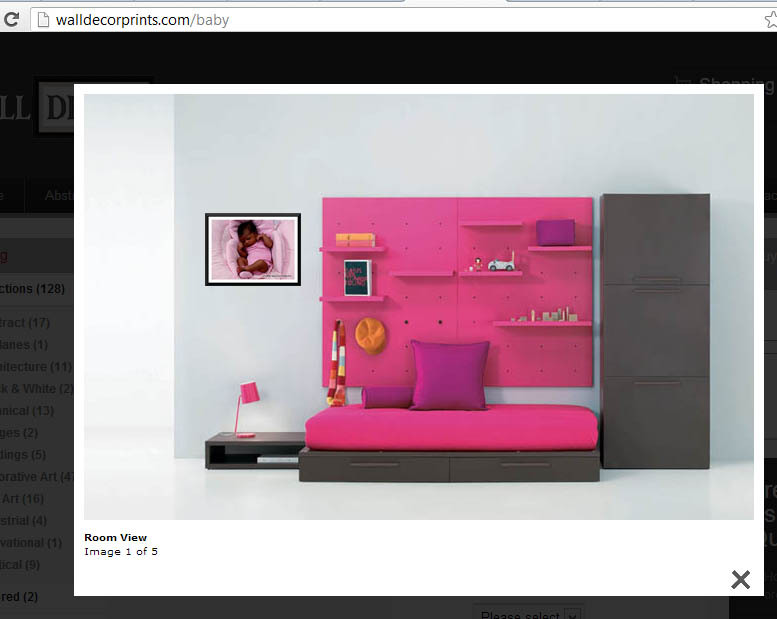 The images tended to originate with furniture designers and manufacturers. 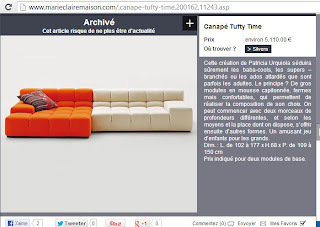 Here Stormy Seas has used an image which shows the Canape Tufty Time by Spanish designer Patricia Urquiola. 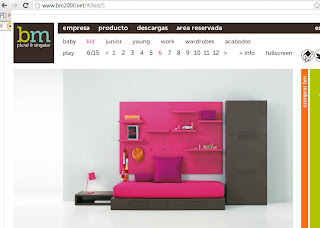 Here Stormy Seas has used an image from the website of the Spanish design company BM2000. To stage this photo, Stormy Seas has used an image from the wallpaper designer Rasch-Tapeten. 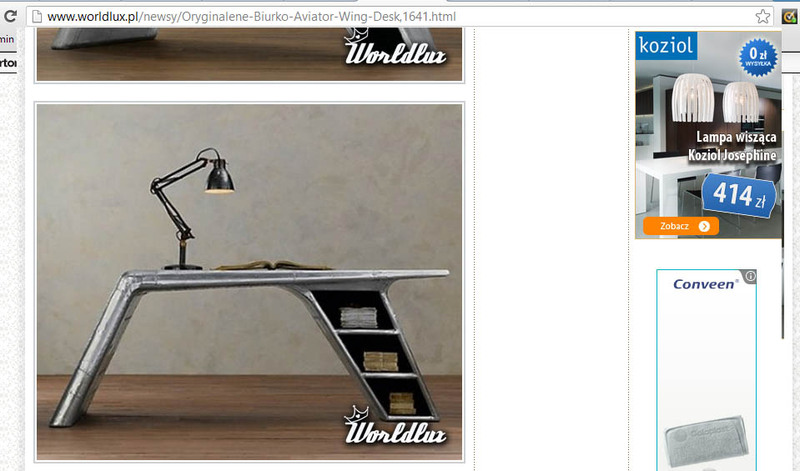 And the photo of the designer desk used by Stormy Seas here is from the website of the Polish company Worldlux (with the watermark missing, of course). There seems to be some distortion in the images in terms of squishing or stretching, but they are the same images. There are about 120 images like this on Stormy Seas' website, and they are probably all from similar sources. These photos will be copyright of either the product company or the photographer. It is possible that these companies allow their images to be used to promote their products, as long as they are properly credited and linked. Would they allow someone to take their images off their website, alter them in PhotoShop and use them to sell another product? I greatly doubt it, and Stormy Seas' angry response, and refusal to answer my question "Where were these images licensed from?" confirms this doubt. - Stormy Seas does not use his real name, and uses at least 4 other names/aliases. Why? To get some perspective, Stormy Seas is also involved in website 'flipping'. He has bought a large number of domains, and is heavily into promoting the value of '.co' domain names. From my research the evidence suggests that .co domains are seen as largely worthless in the website promotion industry. 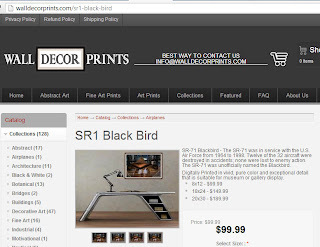 "This store is currently recieving a great deal of targeted traffic.... This is a very very valuable domain to own, especially if you wanted to start a jewelry store"
Stormy Seas put the domain name and website up for auction (under the name 'walldecorprints' - his website name) valued at 299,999 dollars, and the highest bid it got was..... 20 dollars. On all the evidence, I would advise photographers to take anything that Stormy Seas tells them with a large pinch of (sea) salt. 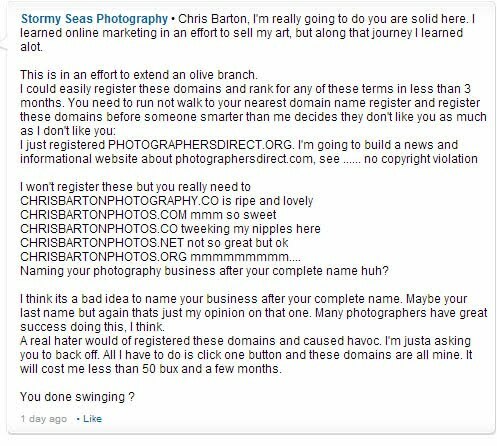 is run by Chris Barton, a photographer and the managing director of Photographers Direct, a professional photography portal and 'Fair Trade Photography' pioneer. Microstock: why would a reputable company do this to themselves? BEWARE! Living Science Competition IMAGE RIGHTS GRAB! Google's new Search By Image: TinEye on Steroids! Great British Life do the right thing!